A top Iranian security official has revealed that Iran and Russia are sharing a military base in Syria where they are coordinating their support for Syrian President Bashar al-Assad’s regime. Ali Shamkhani serves on Iran’s Supreme National Security Council. He said “the use of Iran’s air space” by Russia earlier in 2016 was part of the same framework of cooperation. 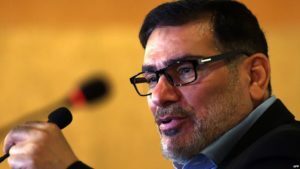 Shamkhani criticized a unanimously approved December 19 United Nations Security Council resolution that calls for the immediate deployment of UN monitors in eastern Aleppo. France has said international monitors would help prevent “mass atrocities” by Syrian forces. But Shamkhani said the deployment of UN monitors would allow “the intelligence elements of countries that support terrorism” to enter the city.